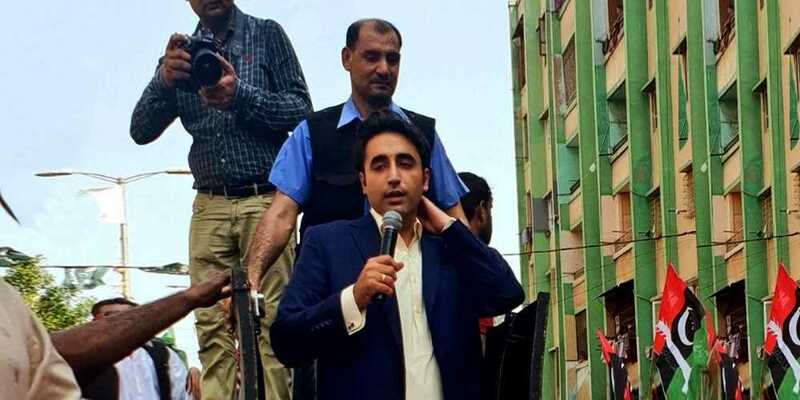 Chairman of Pakistan Peoples Party (PPP) Bilawal Bhutto Zardari’s rally to Lyari was stopped in Behar Colony by the residents of the area. According to the details, for the first time in the history, the residents of Lyari gave tough time to PPP, protesting and chanting slogans against them. Angry protesters also vandalized the motorcade and the residents also raised their voice on the shortage of water in their area. The caravan of Bilawal Bhutto remained stuck for one hour due to the vandalism and the ongoing protest against the party. It should be noted that Bilawal was going to start the political campaign from his constituency NA-246, and therefore, he went there along with his caravan. Due to the violent protest, a political worker of Pakistan Peoples Party (PPP) was injured who was shifted to hospital for medical aid. On the other hand, Chairman Bilawal Bhutto addressed the workers, saying that he has an old affiliation with the area, “I am here for the first time for the election campaign, the residents have always supported Benazir and Zulfiqar Ali Bhutto, I hope that they will also support me”, added PPP Chief. The workers of PPP claimed that Lyari has always been the hub of Bhutto, Lyari residents are always with Pakistan Peoples Party, the protest was from those who supported different groups.